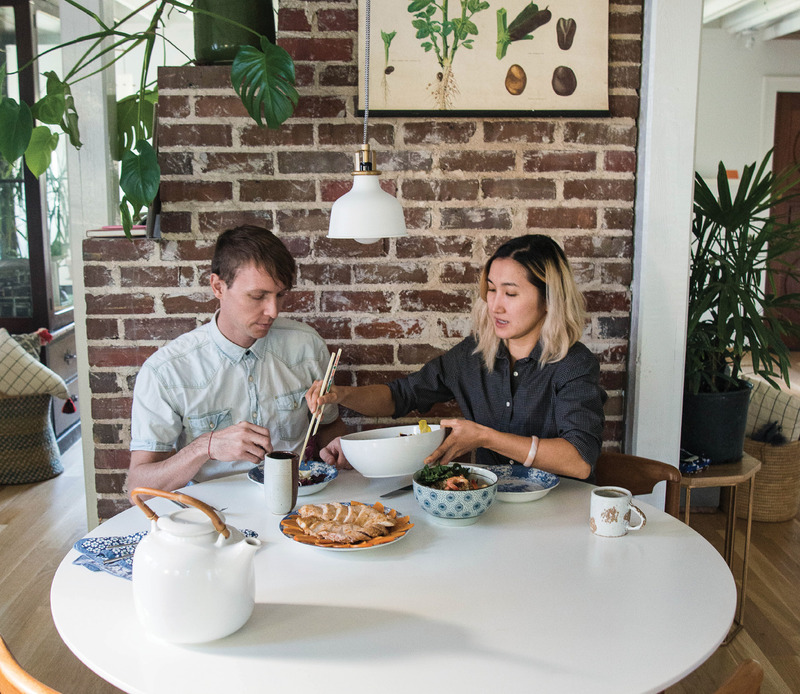 Duolan Li and Joshua Walker, who make their home near Hampton Park, have plans to open a second eatery on Meeting Street in the near future. 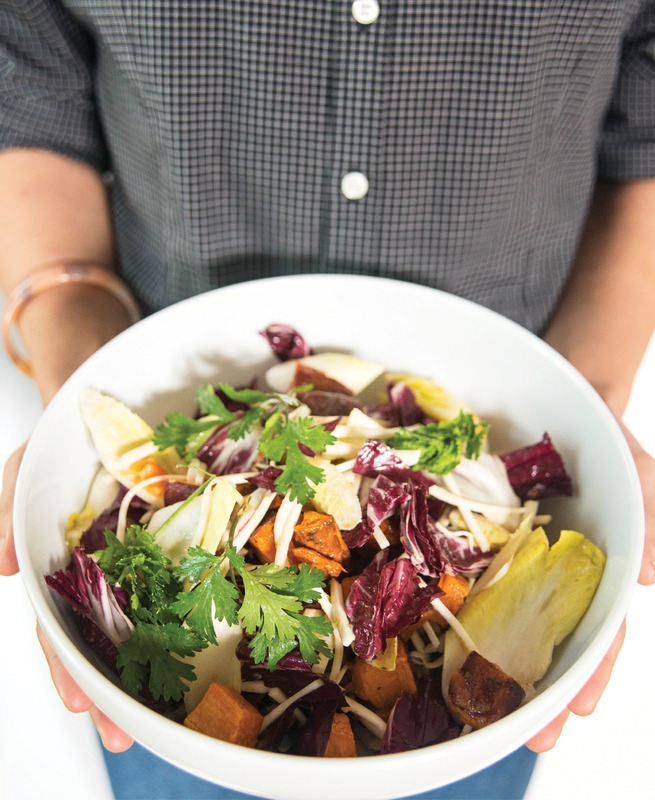 This celery root and sweet potato salad was inspired by Walker and Li's time in Tokyo. 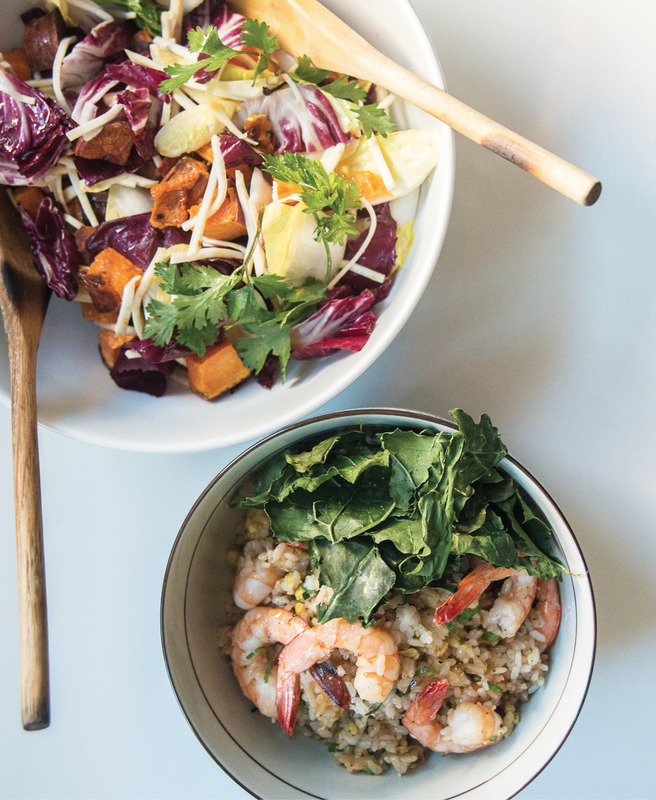 Bowls of the celery root and sweet potato salad and shrimp fried rice; Walker and Li top the rice with crispy baked kale, a healthier alternative to deep- fried garnishes. 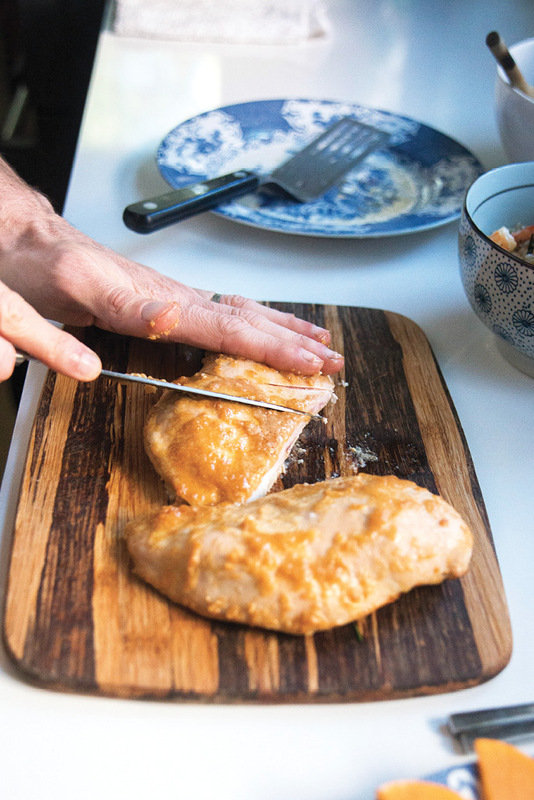 To serve the miso chicken, slice the cooked breasts on the diagonal. 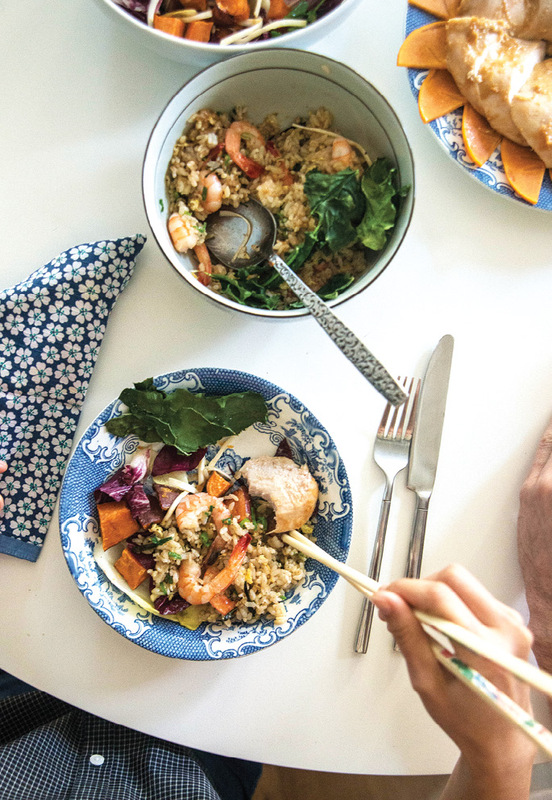 Walker plates his with an arrangement of seasonal fruit. 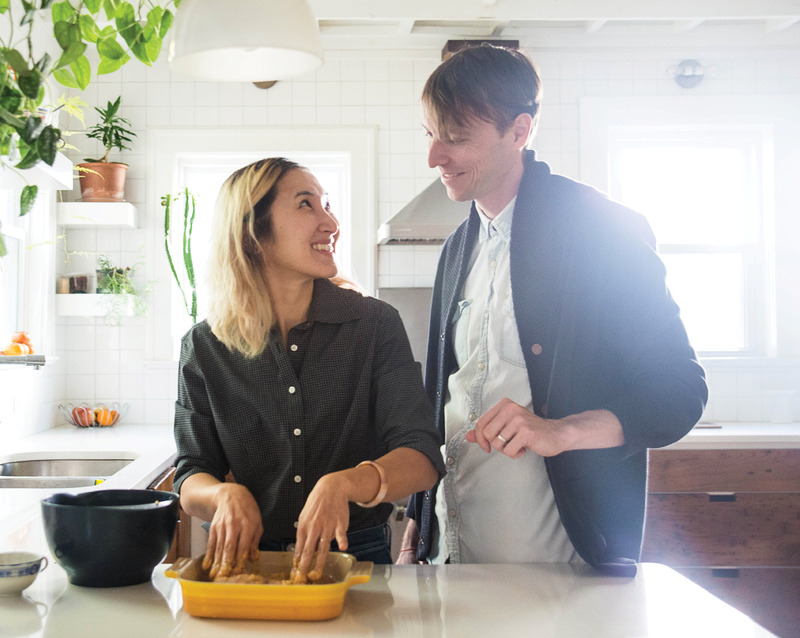 Go-to snack: “I love a simple sunny-side-up egg with a runny yolk on toast with sliced avocado,” Walker says.